Harold Bradley “Mark the Moment” scholarship event at Belmont University in Nashville, Tennessee, January 25, 2019. Created to honor Harold Bradley, a legendary session artist who has played on thousands of songs and is known to be the most widely recorded guitarist in history, Belmont University announced the creation of the Harold Bradley Endowed Scholarship at an event held on campus earlier this afternoon. Harold and his brother Owen were key architects of the Nashville sound and style of recording, helping to build a recording industry and lay the foundation for Music City. The scholarship, funded by two anonymous donors, will be awarded to freshman guitar students in Belmont’s College of Visual and Performing Arts through their graduation. 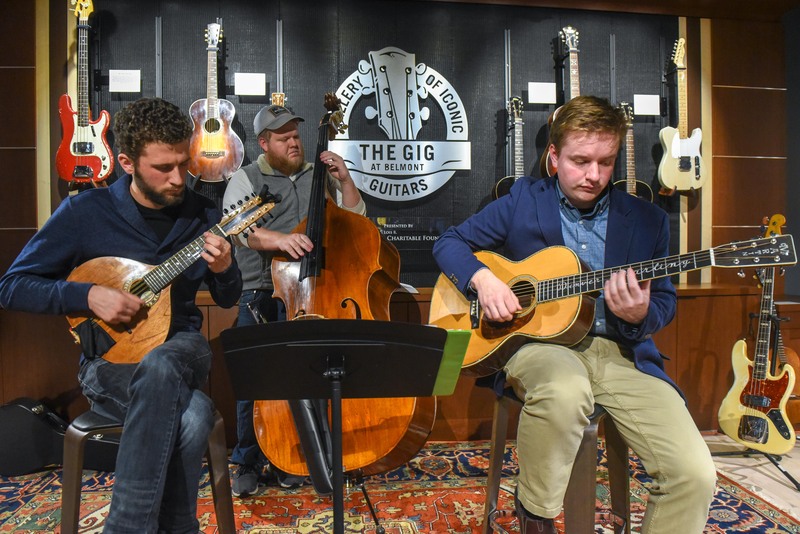 The announcement was held at Belmont’s Gallery of Iconic Guitars (GIG) and included a guitar performance by three Belmont students. Attendees included Bradley’s family, a number of his close friends and College of Visual and Performing Arts Dean Dr. Stephen Eaves and faculty members.